We have been observing daffodils and developing our understanding of growth and decay over time. We counted the daffodils and gave our friends the same amount of flowers. We mixed different colour paints up in shaving foam. Something REALLY exciting has happened in our frog pond!!!!! We took the magnifying glasses outside to look into the pond and we noticed that the frogspawn had CHANGED and now we have lots of tadpoles!!!! 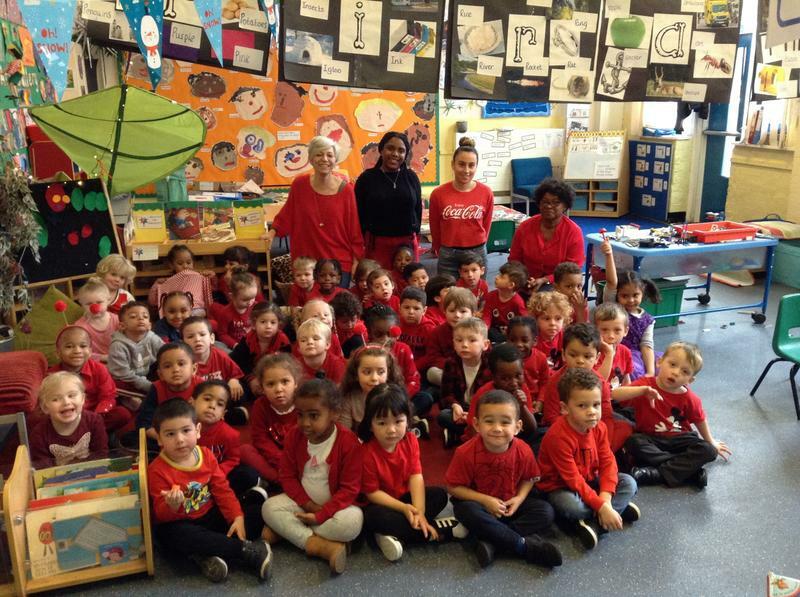 We all wore red clothes today. 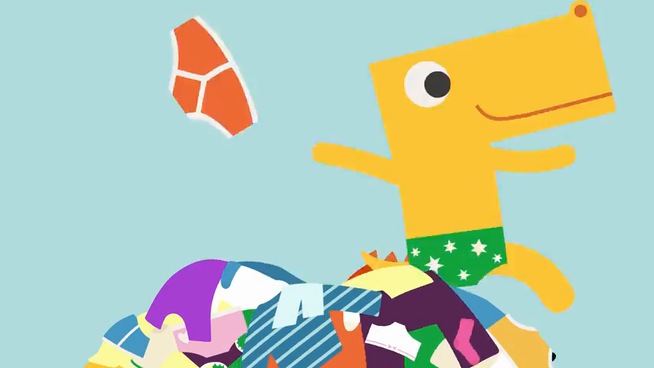 We went to assembly this morning and all the grown ups were REALLY silly. 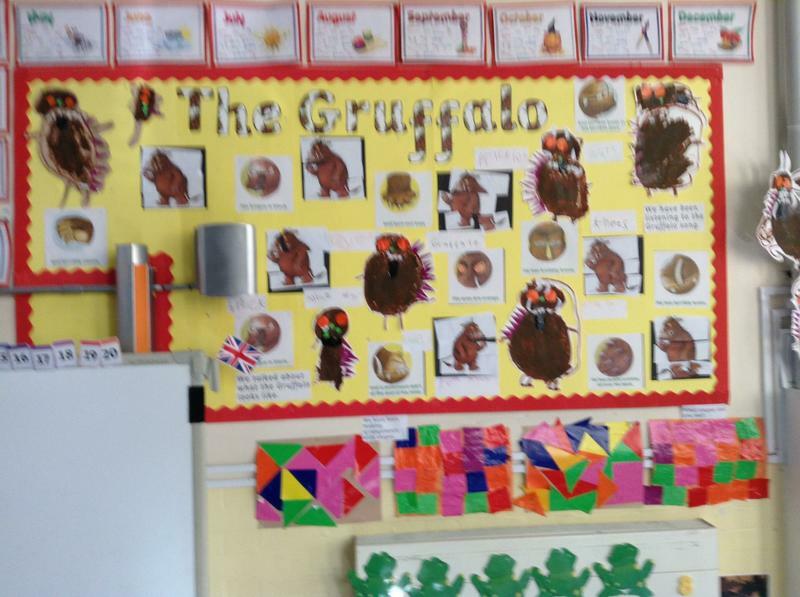 We have been finding out about the character of the Gruffalo. 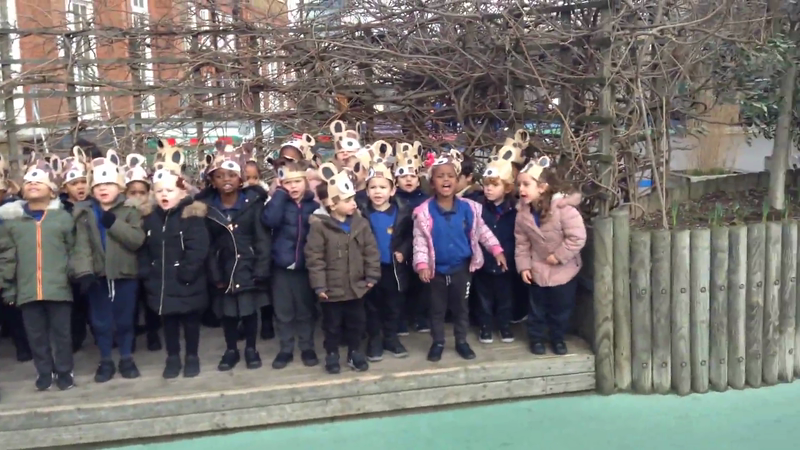 We sang the Gruffalo song and looked at illustrations. We created our own Gruffalos. 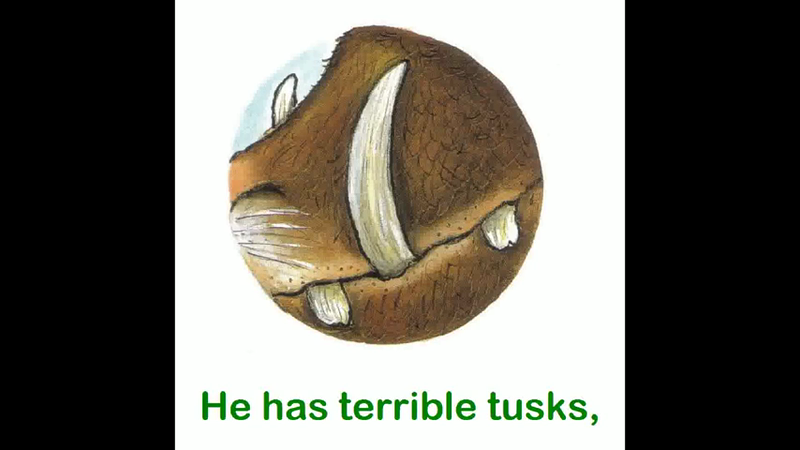 Why don't you sing the Gruffalo song? This week we have been counting speckled frogs. We used our careful counting finger to check there were "still five". We remembered to count the frogs on the log AND in the pond. This week we were given some frog spawn to put in our new pond. We looked at it carefully and thought that it looked like "eyeballs". We have been singing 5 Speckled frogs and watched a programme all about frogs. We will be using magnifying glasses to look carefully in the pond to look for signs of CHANGE. Pippin the dog meets some frogs in her garden. Auntie Mabel finds some frogspawn in a pond and tells a story about the life cycle of a frog. Then she and Pippin visit Chester Zoo, where they meet an African bullfrog and a White's tree frogs. ©BBC Entertainment. We have been learning a new rap with Nisreene. 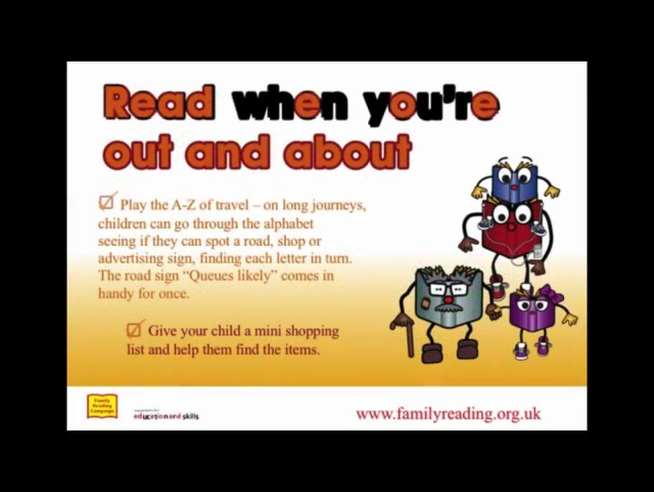 We know that if we are using the computer and something pops up, we should "Tell a grown up!" If you want to be a Pirate. 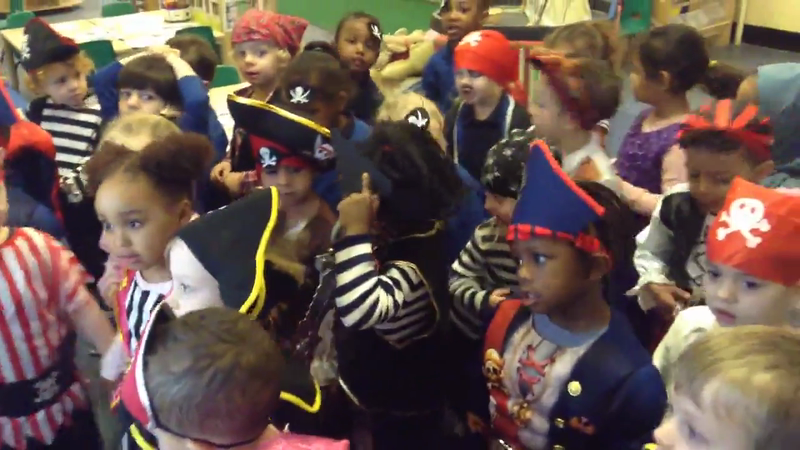 We have really enjoyed "Pirate Week". We made a pirate ship in the Nursery, using junk modelling resources. We made our own pirate hats to support our role play. We walked the plank and pretended that the blue carpet was the sea. We looked at illustrations in pirate story books and named different parts of the pirate ship, such as "mast", "anchor" and "porthole." We had a special visitor, Captain Barnacle Bill. He read us the story Pirates Love Underpants. We went outside to find Elmer's colours. We used the camera to take photos of the different colours we found. We talked about the objects that we found and named their colours. We have been working hard to improve our outside area. We planted daffodil bulbs. First, we put soil in the planter and used spades to spread the soil out. We looked at the bulbs and talked about what we could see. We thought they looked like “onions” and “pears”. 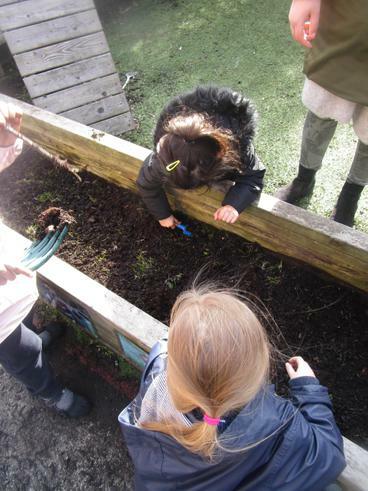 We used our fingers to make holes in the soil and then pushed the bulbs in. Now that it's getting colder we need to start wearing our coats when we go outside. Have a look at this video to see how easy it is for us to put on our coats by ourselves. 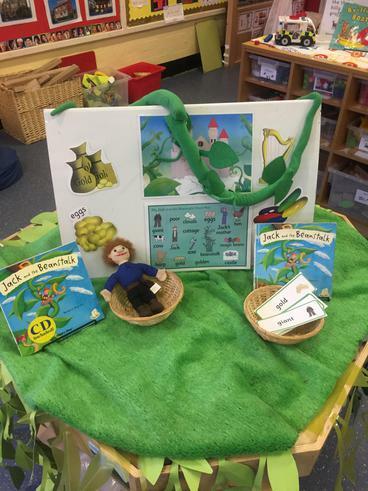 This week we have been reading the story of the Very Hungry Caterpillar. We have been painting fruit to decorate our snack area. We used play dough to make big and little caterpillars. We have been sorting fruit. We have been counting fruit and thinking about whether we just have "one" fruit or "lots". At snack time we have been eating the same fruit as the caterpillar. So on Monday we ate apples, on Tuesday we ate pears and so on. We are really looking forward to Thursday so we can eat yummy, juicy strawberries. 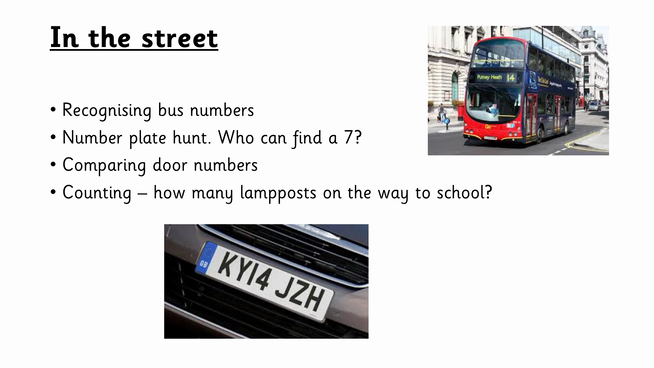 All the new children have begun to settle really well and are enjoying exploring all the resources. 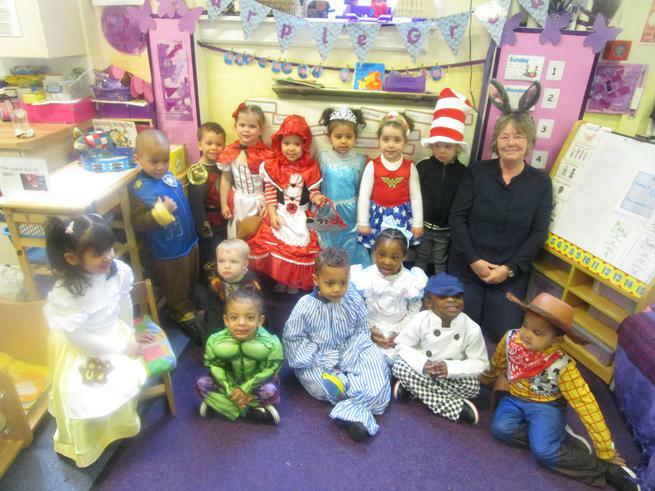 We have been singing and talking about the "Pantosaurus Song"
Some amazing book characters came to the Nursery. "Fee Fi Fo Fum, watch out everyone, here I come!" We talked about the main events in the story. 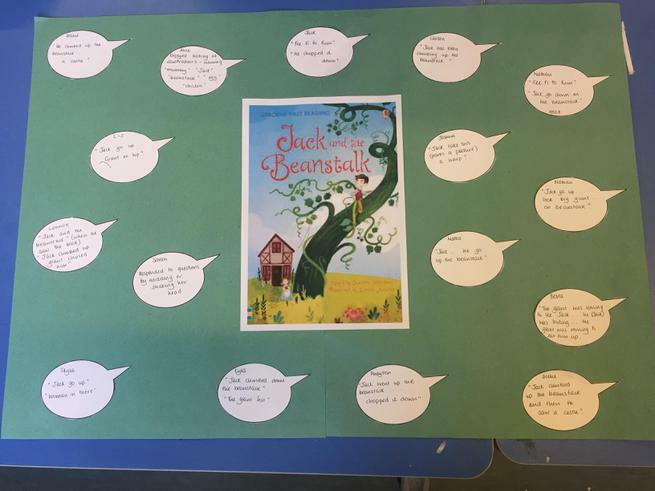 We have also been reading Jasper's Beanstalk. We planted our own beans in see through plastic cups. We have been watching our beans carefully to check if they are growing. We decorated our yogurt pots with our photos, so that when the cress grew it looked like we had green hair. We used the cress that we had grown to make cress sandwiches. We have started to get the garden ready for the summer. 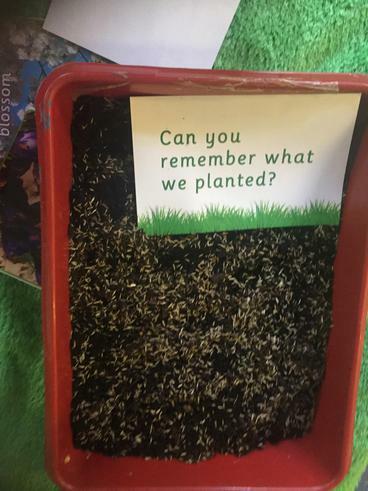 We filled the planters with soil. 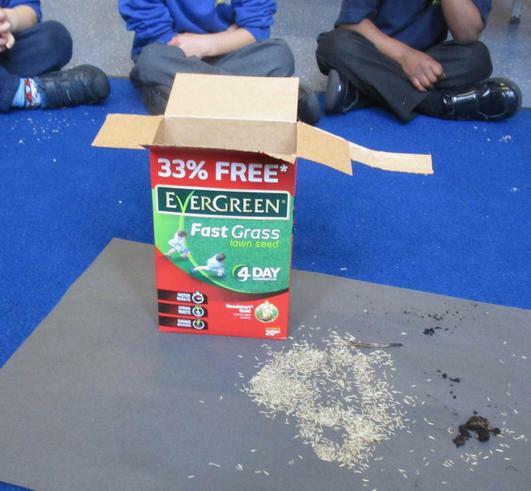 We have also made a mini-indoor garden using grass. 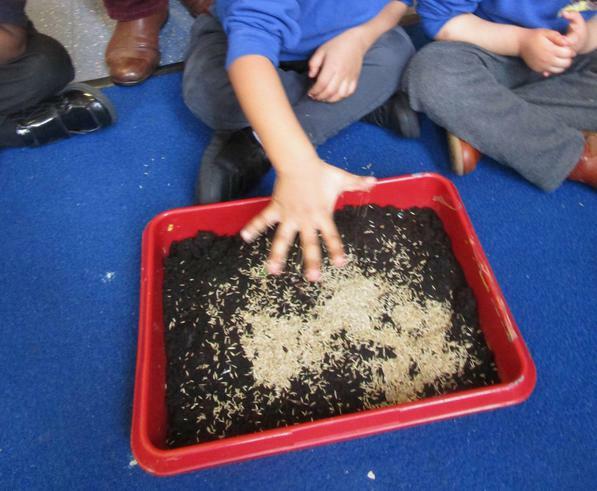 We looked at the grass seeds carefully and noticed that they were "very little" and "a little bit yellow and a little bit brown". We have been taking it in turns to water the grass. Despite the "Beast from the East" we have been finding out about Spring. 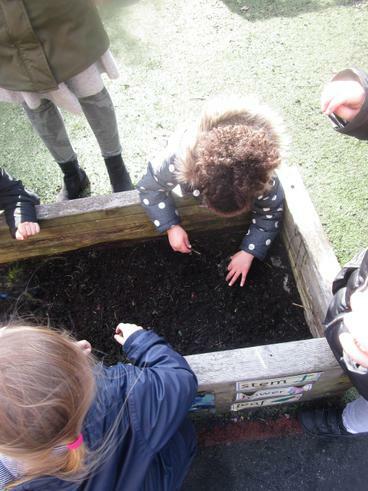 We looked carefully at daffodils and talked about what we could see. 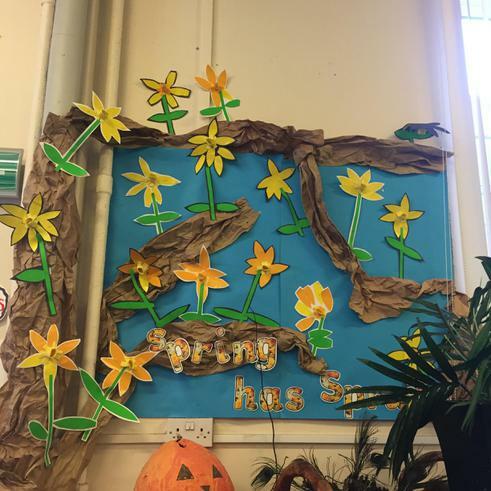 We used bright yellow paper to create our own daffodils. 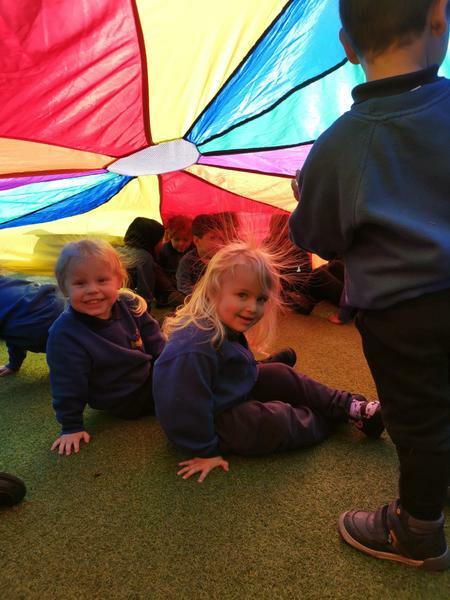 We really enjoyed Science Week 2018 and had lots of fun. We met the Science Wizard and she helped us to make helicopters. Lots of adults joined us for Science open morning. One of the most popular activities was using a pipette to drop food colouring into milk and watch as the colours mixed. Nessa the tortoise really enjoyed her visit too!!! and talked about some of the celebrations we have at home. We used chopsticks to pick up noodles. We read the story "Mr Wolf's Pancakes". We decided that his neighbours were very rude and unkind. We made pancakes and ate them at snack time. 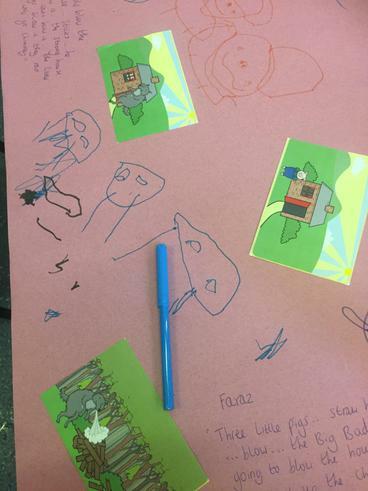 Lots of parents joined us for Stay and Play, where the focus was on Maths. In our Maths Meeting, we matched numerals to quantities, counted claps and jumps and counted out objects from a larger group. In the Creative Area we did junk modelling, using shapes appropriately for the task. 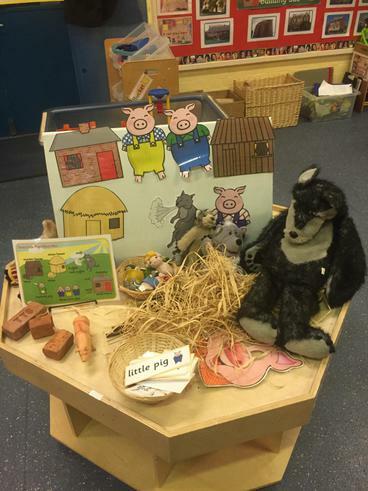 This week we have carried on reading The Three Little Pigs. We have been using puppets and story visuals to help us re-tell the story using repeated refrains. We have also been using lots of different construction resources to build houses for the pigs. We especially enjoyed using Duplo. 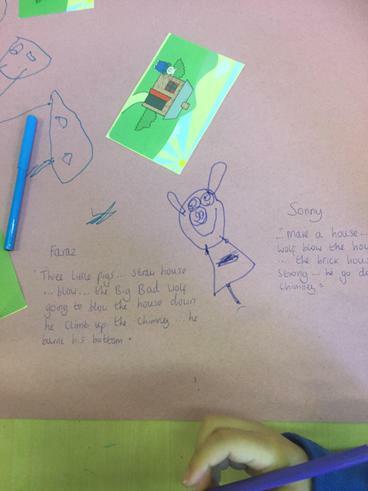 We looked at illustrations of the "Three Little Pigs". We recalled some of the main events and talked about the characters. We remembered that the big bad wold said, "I'll huff and I'll puff and I'll blow your house down!" We used porridge oats to make flapjacks. The mixture was very sticky and it was hard work to mix the ingredients. We ate our flapjacks at snack time and they were delicious. 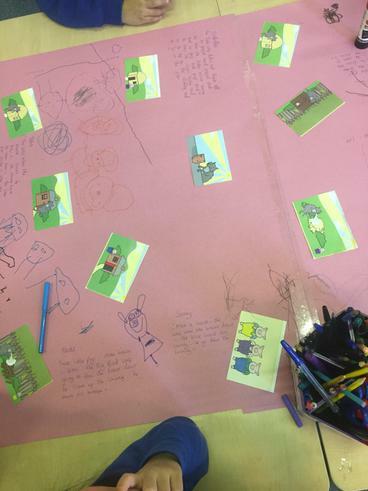 We have been playing a teddy bear size sorting game on the interactive white board, using our gross motor skills to drag and drop food for the three bears. 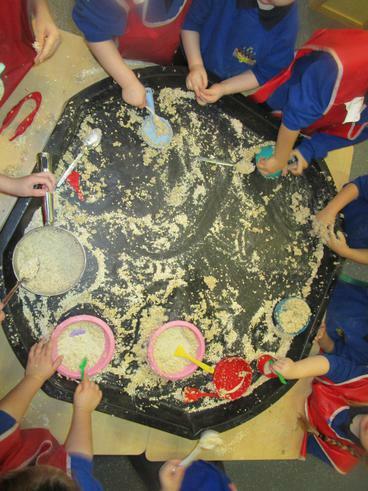 We've been having lots of messy fun in the Nursery. We mixed lots of porridge in a tough spot and used our hands to explore the texture. We thought it felt "sticky" and "gloopy". We used spoons to fill different size bowls with porridge. 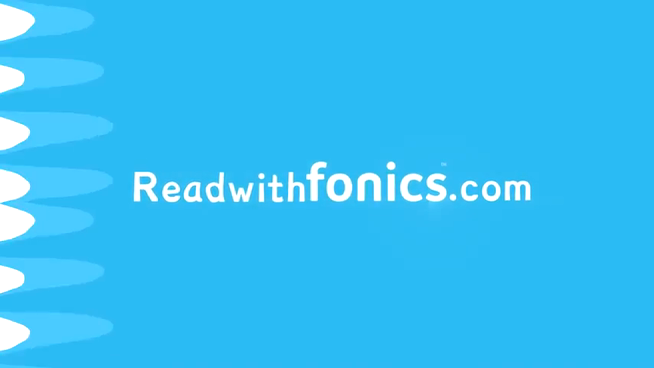 You will be able to insert your child's name into the story. 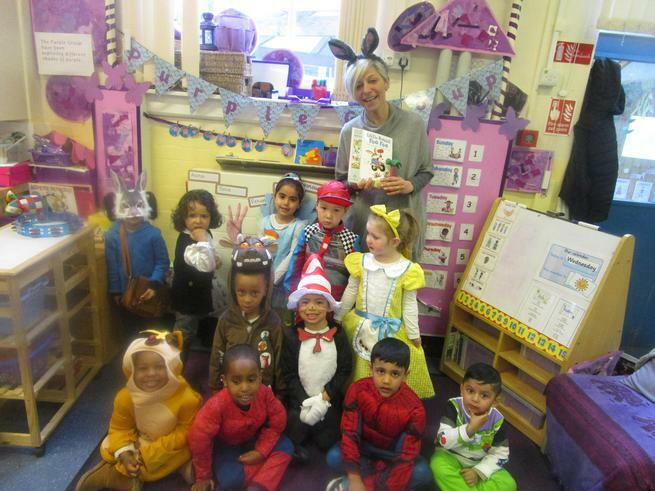 Today the Nursery had their Christmas party. 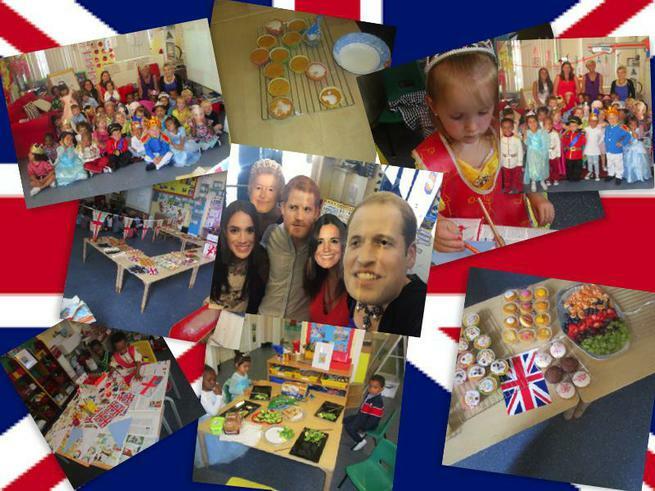 The children ate LOTS of food and had an amazing time. Someone in a red suit, with a big fluffy white beard came to visit us. Can you guess who it was? Welcome to our new book area. Thank you for joining us for Stay and Play. 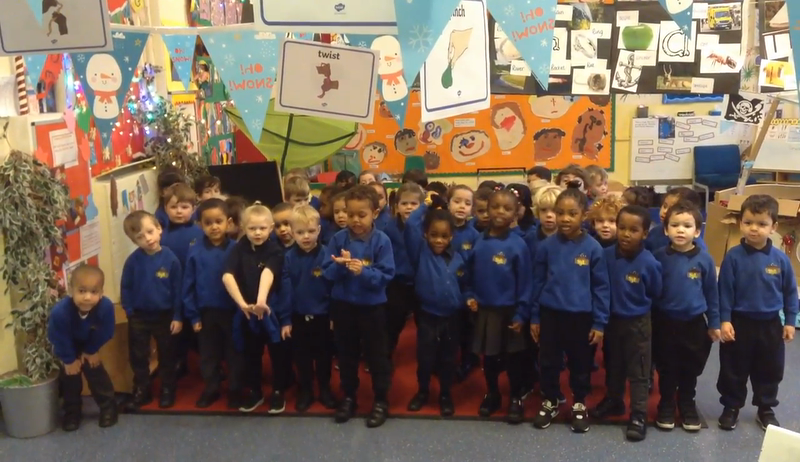 We have really been enjoying these songs and love to join in singing them. We have talked about how the songs make us feel. "Here Comes the Sun" makes us feel happy! Here comes the Sun Lyrics: The Beatles! Karaote Time! 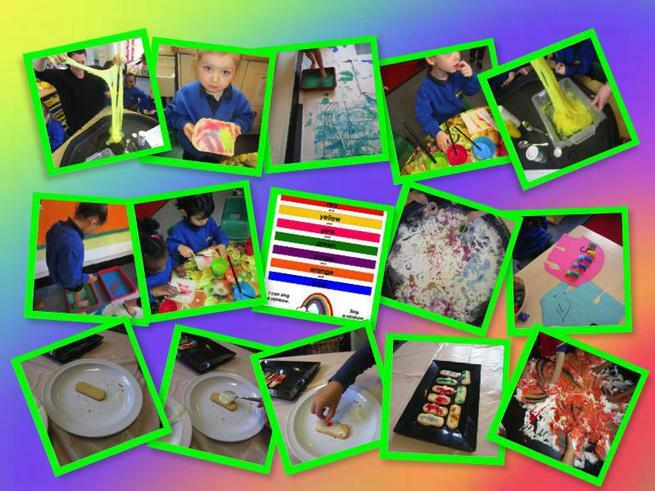 we have had lots of messy fun!!!!! 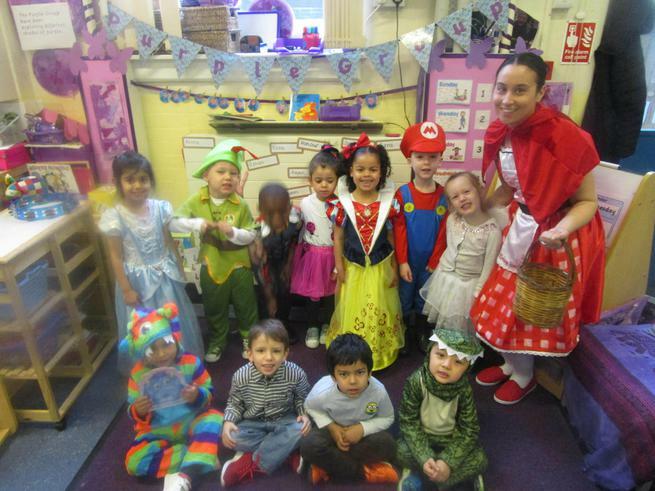 In Nursery we have lots of different adults working with us, helping us to learn and have fun. 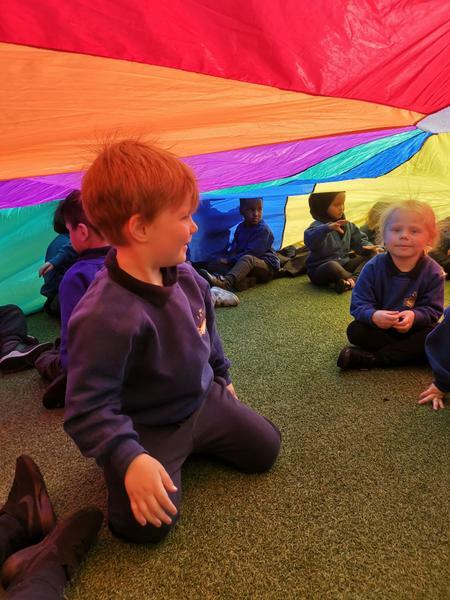 If you would like to see some pictures of our classroom and our most recent work, why not have a look at our school blog.